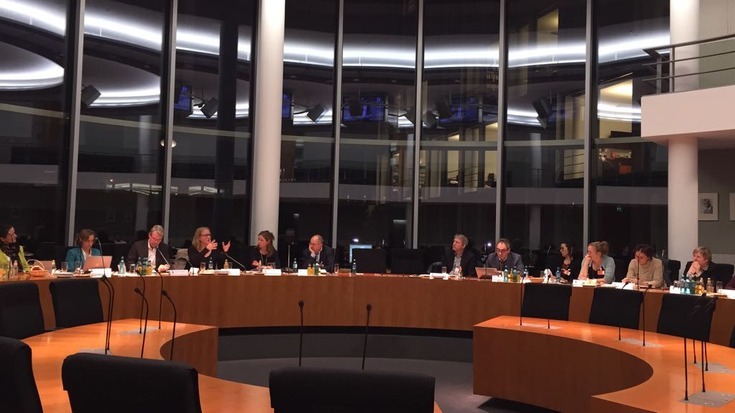 During the General Assembly of the RE.CRI.RE research consortium in Berlin, a round table discussion with Members of the German Parliament and the RE.CRI.RE research consortium was held on 20th of November 2017 in the Parliament of the Federal Republic of Germany. By invitation of Frank Schwabe MdB, Dietmar Nietan MdB and Sönke Rix MdB and in collaboration with Nicole Wloka, LMU Munich, the RE.CRI.RE research consortium discussed scientific suggestions and the methodological tenets of the RE.CRI.RE project for the first time with Members of the German Parliament, local decision-makers, civil society, and academics in the German Bundestag. 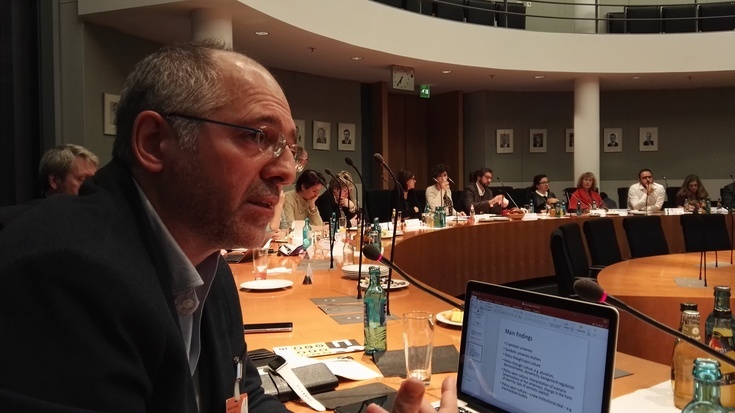 After a keynote speech of the scientific leader of the RE.CRI.RE project, Prof. Dr. Sergio Salvatore, Members of Parliament – Frank Schwabe MdB (SPD), Lisa Paus MdB (Bündnis 90/Grüne), Carl-Julius-Cronenberg (FDP) and Beatrix von Storch (AfD) – were asked by Nicole Wloka to comment on the general idea of the EU funded project and its concrete scientific suggestions for policies and policy makers in times of crisis. Regarding the topic of “Populism and Identity”, which challenges policy makers and institutions as well as societies in Germany and all over Europe, the contentious issue were up to a fruitful discussion.